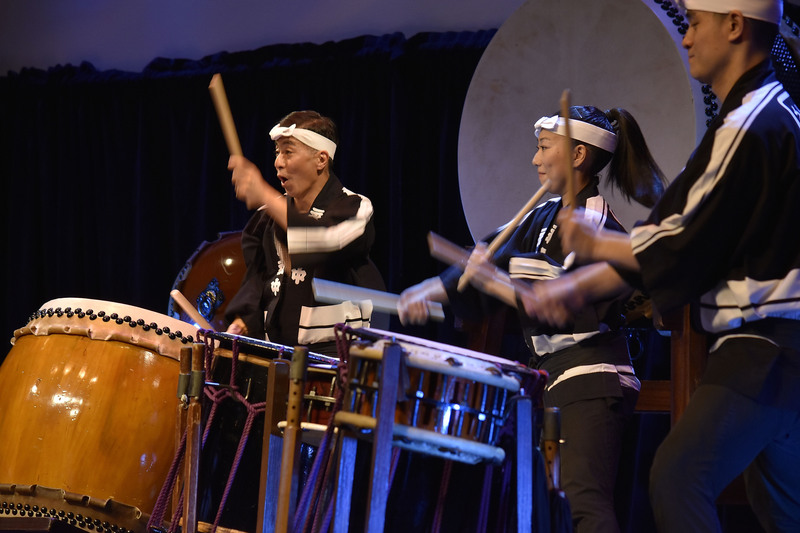 Nagata Shachu, based in Toronto, Canada, has enthralled audiences with its mesmerizing and heart-pounding performances of the Japanese drum (taiko) since its formation in 1998. The group has toured widely throughout Canada, the US and Italy, in addition to the Middle East, performing in major theatres, concert halls, and festivals. While rooted in the folk drumming traditions of Japan, the ensemble’s principal aim is to rejuvenate this ancient art form by producing innovative and exciting music that seeks to create a new voice for the taiko. Taking its name from founder Kiyoshi Nagata and the Japanese word shachu meaning group, Nagata Shachu, has become renowned for its exacting, physically demanding and energetic performances on the taiko, as well as for its diverse repertoire. Their playing is the combination of unbounded spirit and passion with the highest levels of musicianship and discipline. Nagata Shachu has the unique distinction of being the only group outside of Japan with the sponsorship of four major Japanese drum manufacturers, a testament to their mastery of the art form. In addition to having recorded five CDs of original music and four DVDs, Nagata Shachu, has produced its own annual concerts focusing on the presentation of new works. For the last five years, Nagata Shachu has produced a three-concert season, featuring collaborations with both local and international artists.